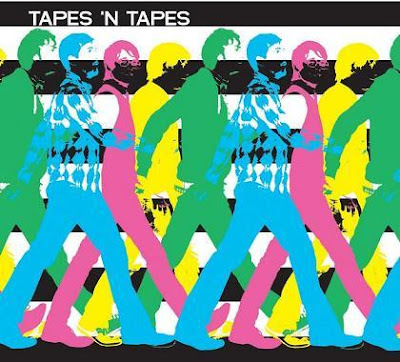 Stream the new Tapes 'n Tapes, Walk It Off (released April 8 via XL). This stream will only be up until noon CST time on Thursday and does require an email address. w/ shout out louds, tokyo police club, the stills, georgie james, the constantines, los campesinos!, neva dinova, ra ra riot, son, ambulance, the most serene republic, ladyfinger plus comedy from todd barry, mike birbiglia and eugene mirman (tapes ‘n tapes headlines big stage at emos at 5:20).